This is a quote I heard from a caller to a local radio talk show Saturday morning in reference to the way presumptive Democratic nominee Barack Obama’s handled the announcement of his vice presidential choice, Delaware Sen. Joe Biden. Tyra: I now have one photo left in my hand. The photo is the winner of America’s Next Top Vice President. Joe Biden, you will be America’s Next Top Vice President! All this excitement over Joe Biden? If Obama is running a campaign to change hands from Washington’s usual suspects, why did he choose an old white man who has been in the Senate since 1972 and has a tendency to make inappropriate remarks? Furthermore, the reality of Joe Biden is that he supports the Iraq War. 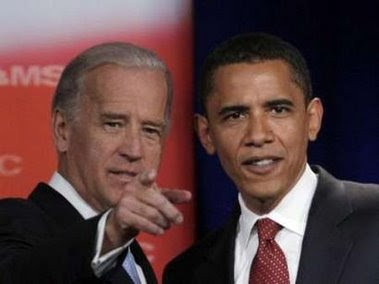 Obama’s choice of Biden as his running mate will likely have a hugely negative impact on his once-enthusiastic base of supporters. Obama’s supporters had greatly appreciated the fact that he did not blindly accept the Bush administration’s transparently false claims about Iraq being an imminent danger to U.S. national security interests that required an invasion and occupation of that country. At the same time Biden was joining his Republican colleagues in pushing through a Senate resolution authorizing the invasion, Obama was speaking at a major anti-war rally in Chicago correctly noting that Iraq’s war-making ability had been substantially weakened and that the international community could successfully contain Saddam Hussein from any future acts of aggression. In Washington, by contrast, Biden was insisting that Bush was right and Obama was wrong, falsely claiming that Iraq under Saddam Hussein – severely weakened by UN disarmament efforts and comprehensive international sanctions – somehow constituted both “a long term threat and a short term threat to our national security” and was an “extreme danger to the world.” Despite the absence of any “weapons of mass destruction” or offensive military capabilities, Biden when reminded of those remarks during an interview last year, replied, “That’s right, and I was correct about that." McCain is no better when it comes to the theatrics either. His campaign released a commercial – early Sunday morning – trying to ride on the hostility between Obama and Hillary Clinton. But if the rumors are true about who McCain will choose for his number two, I am sure the Democrats will use and abuse the caustic relationship between McCain and Mitt Romney. On this very topic, I was speaking to a Republican acquaintance recently, and he told me that many Republicans are now saying that they will not vote for McCain if he doesn’t selected Romney as his VP. Now, everyone knows how I feel about Romney. If the Republicans are so in love with Romney, why isn’t he the presumptive Republican nominee right now? The reality of Mitt Romney is that he brings nothing to the table - except nice looking hair. But I guess in a world that trumps theatrics over reality, nice looking hair is a must. I can't see Mitt Romney being accepted by "evangelical" wing of the Republican party. If one listened to Christian radio during the primaries, there are many in the religious right who will not accept Mitt Romney simply because of his Mormonism. While I could care less about Romney mainly because of his politics, I think it is sad that so-called "Christians" are going to try to run Mitt Romney out of being in the White House simply because of his religion.